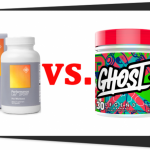 You are here: Home / Pre-Workout / Baking Soda Pre-Workout: Cheap, But Does It Actually Work? Baking Soda Pre-Workout: Cheap, But Does It Actually Work? Did you know there’s a cheap, effective pre-workout ingredient you can buy at your corner convenience store? Well, there is: Baking soda, also known as sodium bicarbonate. Also known as “soda doping,” taking baking soda pre-workout has been a secret of runners for decades. Now, bodybuilders are also using baking soda as an effective and legal way to boost performance. In addition, Baking soda can be stacked with other supplements to increase muscle performance even more. Let’s take a closer look at this surprising sports nutrient. Neutralizes muscle acidity – First off, Baking soda is an effective pre-workout because it is an alkaline substance that neutralizes lactic acid that builds up in muscle. Lactic acid brings on fatigue. By neutralizing it, baking soda helps with muscle strength ad endurance. Baking soda reduces acidity in the body targeting the muscles itself where in most of the acid build up takes place. Helps cells adapt to intense training – Intense workouts require a lot of energy. Sometimes the required energy for an activity is even more than the energy stored in the powerhouse of the cell, known as mitochondria. Baking soda prepares the cell to adapt to these rapid changes in workout energy demands by optimizing mitochondrial function. 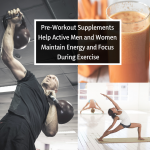 This helps muscles perform more consistently during strenuous activity, especially interval training. Muscle fatigue can limit runners and endurance athletes. When baking soda became famous as a supplement to prevent muscle fatigue, runners were the first to call the baking soda pre-workout regimen as “soda-doping”. Although it is a little controversial, soda doping is perfectly legal, however. It is even allowed during marathons and competitions. In addition, runners and endurance athletes have ever-changing training routines, including cross-training and high intensity interval training. Baking soda pre-workout allows them to adapt quickly to these sudden changes in muscle activity. Bodybuilders may take baking soda pre-workout to fight lactic acid and increase reps, like this bro banging out the leg extensions. Bodybuilders need multiple repetitions. Although most guys want to “lift big,” the workout that doesn’t always have to be very heavy and explosive. In addition to lifting heavy, muscle endurance is necessary to achieve a body builder’s goal in appearance. Baking soda also delays muscle fatigue and allows more repetitions with smoother cadence. In addition, muscle recovery is notably faster when athletes take baking soda pre-workout. This is because with lactic acid in the muscles neutralized, post-workout muscle pain and fatigue is significantly reduced if not totally eliminated. Baking soda may help testosterone levels in men. This may boost bodybuilding results, because testosterone helps you burn fat and improve anabolic muscle growth. While it is not one of the best testosterone booster supplements, baking soda may support healthy T-levels. Remember: Baking soda is SODIUM bicarbonate. Take care with it if you are avoiding sodium for health reasons. For those on a tight budget, Baking Soda might make sense as a pre-workout — but take care to use it safely. And, when you’ve got a little more cash in hand, upgrade to a real pre-workout supplement. More expensive, but the best formulas can do so much more than baking soda. Totally worth it. The recommended dosage of baking soda to experience its benefits without gastric side effects is 300 mg per kilogram of body weight. In this dosage of soda doping, athletes experienced enhanced muscle performance without any recorded negative side effects when taken 90-120 minutes prior to a workout session. Baking soda is also taken together with other supplements to enhance its benefits. Creatine is the supplement most commonly used together with baking soda to create a sports nutrition stack. 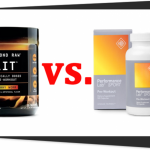 The recommended pre-workout dosage for the creatine and baking soda sports nutrition stack is 20 g of creatine and 300 mg of baking soda per kg of body weight taken 90-120 minutes before workout. Did you know? Baking Soda is good for Bloating. This may help with creatine’s notorious bloating side effect, making this an even more sensible 1-2 stack. Adding a squeeze of lemon juice to baking soda in water and drink it slowly to reduce bloating effects. 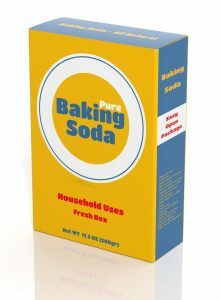 Baking soda is readily available in stores and usually comes in powder form that can easily be dissolved in any drinks of your choice. Water is most common, however — making a pure, clean homemade pre-workout drink. Capsule forms of sodium bicarbonate are also available and it must be taken with 750 milliliters of water. 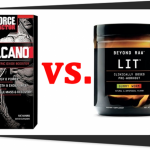 Some premade stack pre-workout supplements also include baking soda in small amounts. BSN Amino X is an example of a stack supplement that uses baking soda in its formula. Baking soda is cheap, readily available and its benefits are undeniable. Overall muscle performance of bodybuilders and athletes is enhanced by soda doping when taken as a pre-workout in the right dosage. Baking soda also works well with creatine to further enhance muscle endurance. Male bodybuilders and athletes also experienced increase in testosterone levels that can be beneficial for men during a workout. 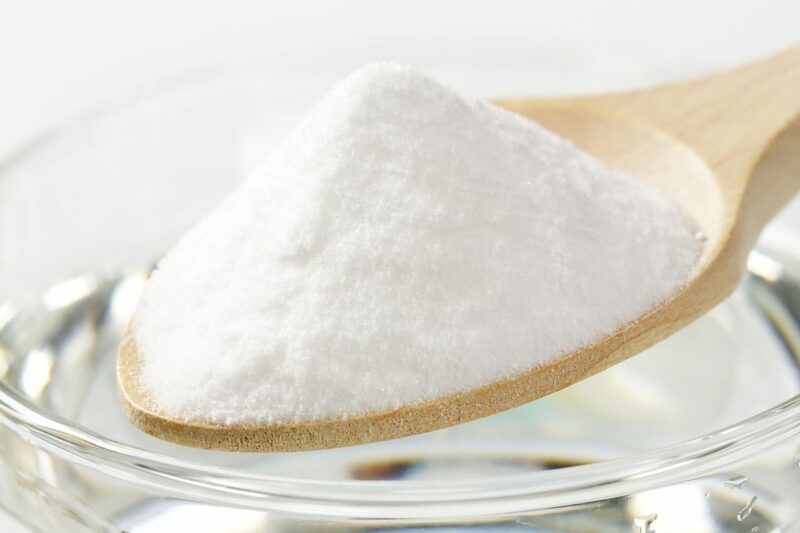 Baking soda may not be the most advanced pre-workout supplement in the market today, but it is surely safe and effective with a lot of scientifically proven benefits.